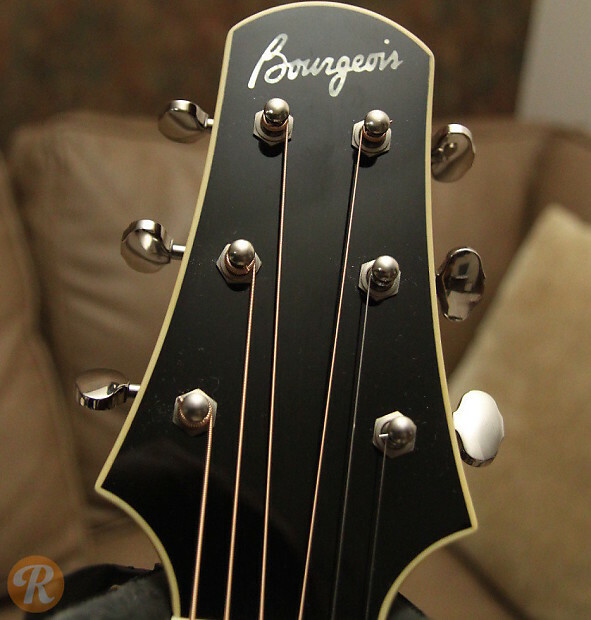 Dana Bourgeois is one of the most critically praised boutique luthiers of the 21st century. 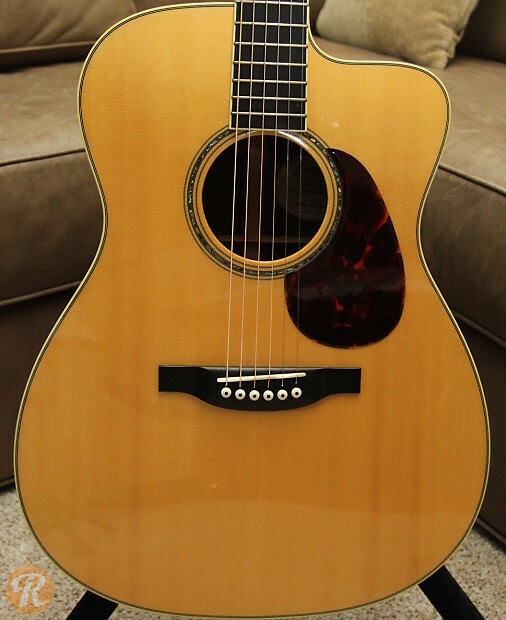 His Bourgeois JOMC model is a jumbo-esque OM design with a cutaway. 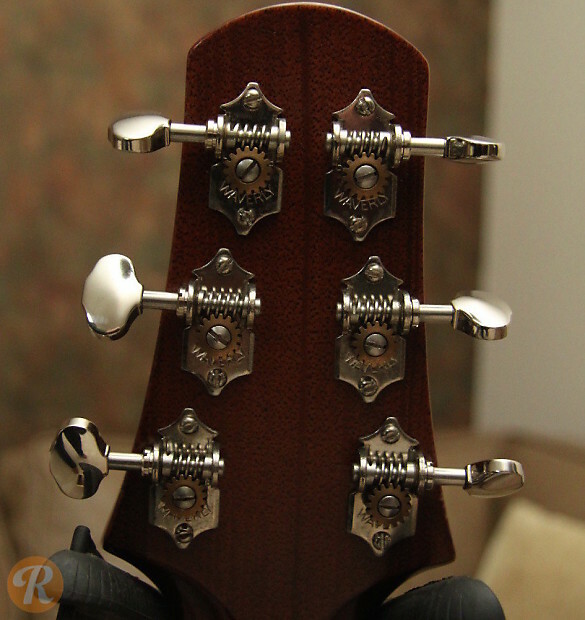 It features a 1.75" nut and 25.5" scale length. 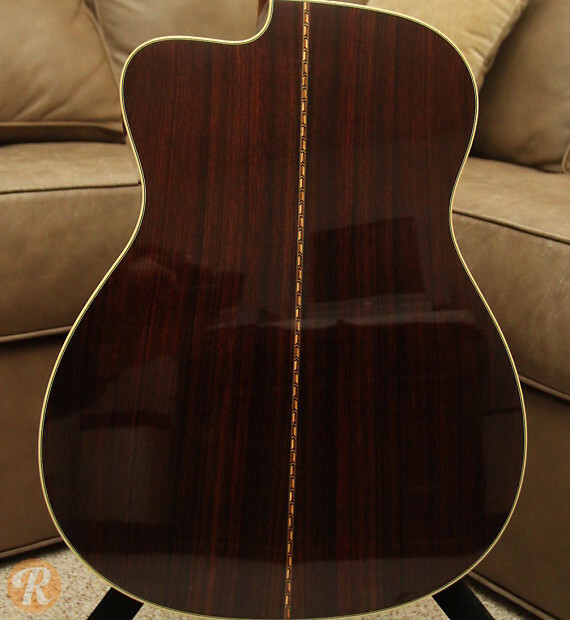 The top is usually Engelmann Spruce, but other tonewoods can be custom-ordered.